Additional Info: Built in USB charger in plug sockets. 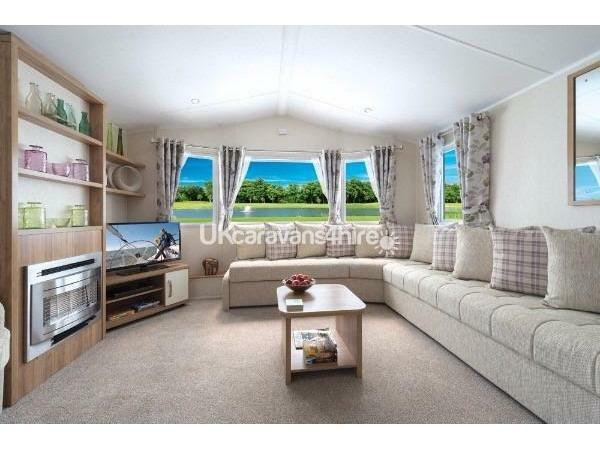 This caravan has one double bed, a twin room and a pull out sofa bed within the lounge area. Two pillows and a duvet is provided for each bed. However linen is not provided, you will need to bring your own. The master bedroom does have an en-suit with a toilet and hand basin. 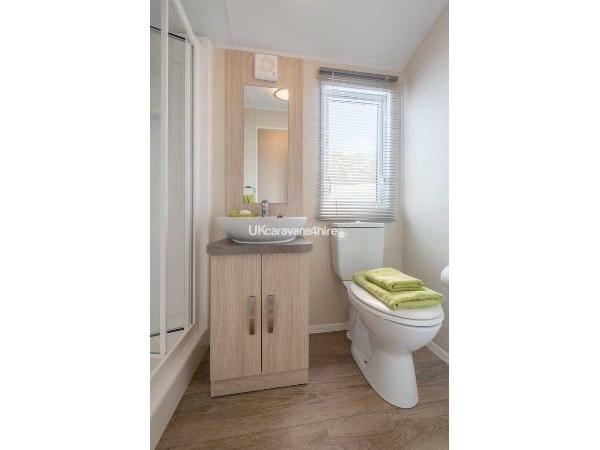 Whilst the main bathroom has a shower, toilet and hand basin. Towels are not provided however toilet rolls are. Within the large open planned living room / dinning room / kitchen there is lots of natural light that floods this space. There is a large wrap around sofa, plus a gas fire. 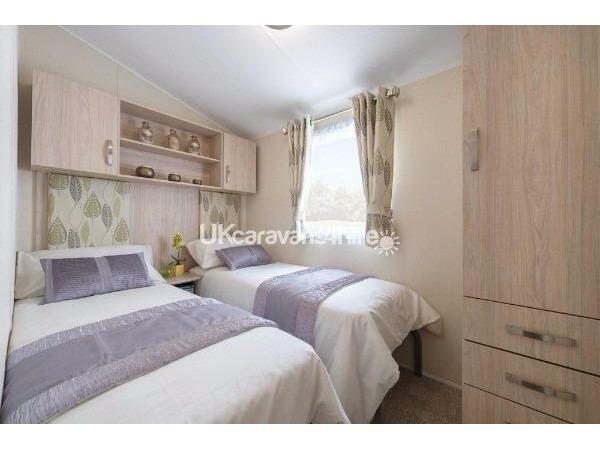 A digital LCD TV with integrated DVD player is included in the caravan for you to enjoy whilst on your stay. Within the kitchen there is a integrated fridge/freezer, microwave, full sized oven, toaster, kettle, all cooking utensils, crockery, cutlery and glasses. We do also provide some basic cleaning materials within the caravan; multi-purpose cleaner, cloth, dustpan and brush plus a hoover. 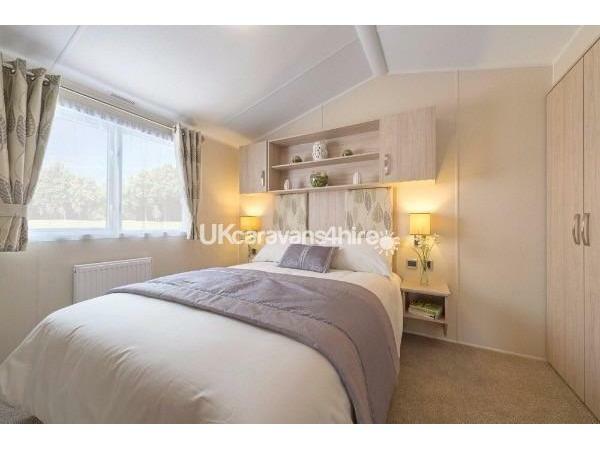 Outside of this caravan there is a large gated decked area, plus a tarmac parking bay for one car. There is a path of large slabs from the tarmac to the steps of the decking. Patio furniture is provided to allow you to make full use of the decking. Polzeath and Rock beaches are within 2 miles from the caravan. Polzeath is a beach renoun for its amazing surf, even if you cant surf lessons are available, plus a range of other water sports. Whilst at Rock you can hop on a passenger ferry and be in Padstow, the home of Rick Stein, within 5minutes. Slightly further up the road, only 4 miles away from the site, is Port Isaac the home of where Doc Martin is filmed. If you are to drive 4 miles in the opposite direction, you will arrive in the historical town of Wadebridge. Here you can enjoy a range of shops plus why not hop onto a bicycle and cycle or walk along the camel trail idea for dog walking too. 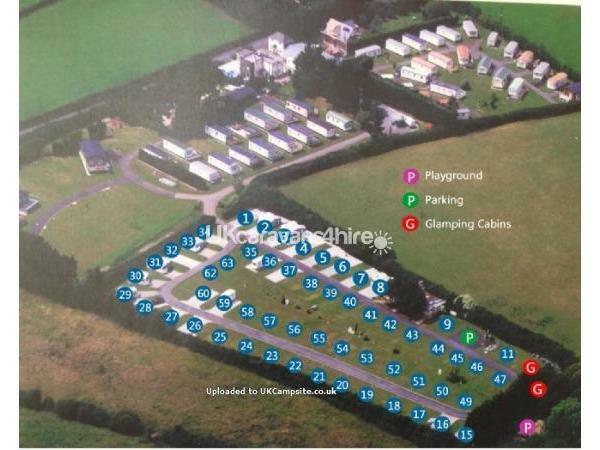 Gunvenna Holiday Park has an indoor heated swimming pool, games room, on-site shop, children's play area on sand plus a laundrette. Within the shop you can purchase freshly baked croissants both plain and chocolate, plus freshly baked bread. There is an on-site dog walking area, with a bin provided. There is not a pub or restaurant on site however there is a good pub within a 5 minute walk from the park. Plus a large amount of local taxi firms are available at good rates, so you dont need to worry about drinking and driving. 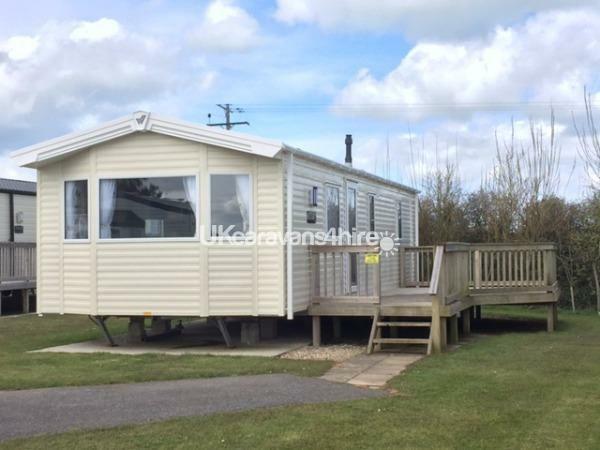 As this caravan is dog friendly there are some amazing walks close to the park that you could enjoy, as well as being able to take your dog onto the beach at Rock or Daymar Bay. A large amount of the local shops and pubs will allow dogs into them. Being situated on the North Coast of Cornwall there are lots of amazing attractions that can be enjoyed within a short drive from the caravan park. Some examples of where you could enjoy your holiday are; Crealy Adventure Park, The Eden Pjoect, Newquay, Truro, Falmouth, Lands End, Helston, Hayle, Mousehole, St. Michael Mount, Bostcastle, Tintagel, Newquay Zoo plus many more leaflets for attraction can be found in the on park shop. Additional Info: Children's playground based on sand.